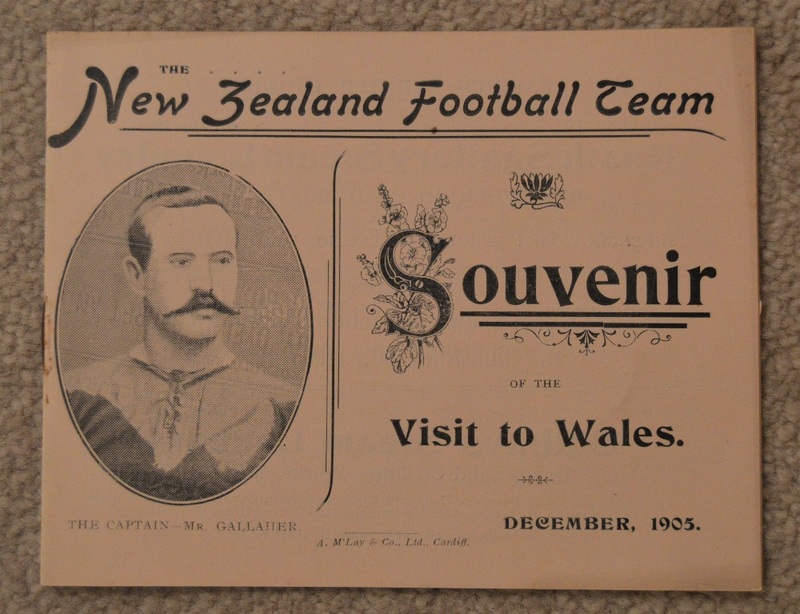 Original 1905 Rugby Souvenir booklet of the All Blacks' visit to Wales: Much looked-for 12 pp original in condition good enough (with barely any staple rust) to have almost been a reprint, but undoubtedly 113 years old. 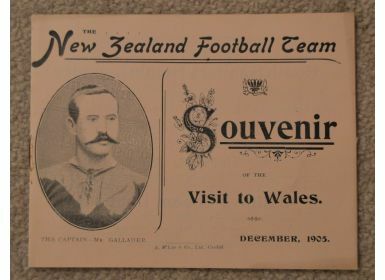 Approx 6" x 4.5" with welcome, preview, articles, adverts and pictures inc NZ team &, to cover, Dave Gallaher. Excellent memorabilia.